Penny stock trades at a very low price, generally below Rs. 10-20. The market capitalisation of the company is less than Rs. 100 crores. The term penny was originated in the US where the stock price is below $5 they used to call it a penny stocks. About 25% of the stock which are traded on BSE is below Rs. 10 and thus they are penny stocks. Here are the Best Penny Stocks for 2018. Over past 2 years, GMR Infra has been focusing on reducing its debt by divesting share of Energy biz (USD 300mn from Tenaga for 30% stake in GMR Energy) and has also raised funds via QIP (₹14.8bn), Rights issue (₹14.0bn) & FCCB (₹20bn). Apart from that to bring its cost of debt down it has raised international bonds at lower cost in DIAL (USD 289mn and USD 523mn) and GHIAL (USD 350mn). The Company also received compensation of USD 271mn under the arbitration of Maldives Airport. The current Gross debt of GMR is ₹208.5bn and net debt is ₹143.4bn, while Net Debt/EBITDA ratio is 5.6x. GMR Infra currently has controlling stake in Delhi (64%) & Hyderabad Airport (63%) and a minority stake in Crete Airport, Greece (10%) and Mactan Cebu, Philippines (40%). The Goa Airport (Mopa) and Crete Airports are under development stage. • The Airports in India work on regulated equity (with 16% Return on Capital) for Aero Revenues and GMR has hybrid TILL model where 30% income from the Non-Aero segment (Duty-Free, Retail, F&B, Advertising, Parking, etc.) subsidizes the aero segment. GMR can also monetize the land Parcels by commercial property development (CPD) for the concession period. • Out of 230 acres of Airport land in Delhi, GMR has completed commercial development of 1st Phase (45 acres of Hospitality district) and in 2nd phase it awarded 23 acres to Bharti Realty for upfront payment of ₹3,150 mn (including RSD, ADC, Bid processing fee) It has already monetized 90 acres of 1,500 acres Airport land in Hyderabad and has 232 acres in Goa. • With decent increase expected in passenger traffic and upcoming Capex of Delhi & Hyderabad Airport, we expect 15%+ growth in Non-Aero & CPD biz. • With strong passenger traffic growth, the capacity of Delhi Airport is likely to increase to 90mn from current 62mn and GMR will spend ~₹80bn over next 3 years for the Capex, while the Annual passenger capacity of Hyderabad Airport is likely to increase to 25mn from current 16mn and it will spend ~₹25bn for the Capex. The new Goa Airport (Mopa) will require another ₹20bn. The D/E ratio for incremental Capex in Airport segment will be 70:30. • Based on the historical growth trend, 16% assured return of regulated equity of Aero biz and 15%+ growth expected in non-aero & CPD biz, the consolidated EBITDA from Airport biz to reach to ~₹28bn by FY20 from current level of ₹21bn (based on Q2FY18). • GMR also has plans to list its subsidiary GMR Airport though IPO or demerger mode. GMR Infra currently holds 52% stake in GMR Energy which has an operational capacity of 2633MW. GMR Energy has 100bn debt and has ~80% of capacity under long-term PPAs ensuring high visibility of cash flows going forward. • GMR sold 30% stake for Tenaga Nasional Berhad for USD 300mn, valuing the GMR Energy biz at USD 1.0bn. • The other assents in Energy segment are Chhattisgarh Power (48% stake, 1370MW) and Rajahmundry Power (45% stake, 768MW). • Due to an absence of fuel linkages & PPA, GMR has availed SDR by issuing equity to lenders to bring down total debt from ₹126bn to ₹82bn by converting debt to equity its holdings have fallen below 50% thus not required to be consolidated under IND-AS. Lenders will monetize these assets in ensuing period and we may assume zero value conservatively. • GMR also has 30% stake in PT Golden Energy Mines (Indonesia). During H1FY18, sales volume grew 22% to 6.6mn tones with 26% growth in Realization, while Revenues, EBITDA and PAT stood at ₹18.2bn, ₹5.0bn and ₹3.4bn, respectively. GMR Infra has 7 highway Projects (600 km) of which operational 4 Projects (285 km) are Annuity based and 3 Projects (315 km) are Toll based. • The Total equity investments in highway projects are ₹11bn and had a debt of ~₹30bn. • GMR has planned to monetize these highway assets and expects to realize 6bn equity value. However, monetizing road assets will help it reduce overall debt by ~₹30bn. • GMR has special investment regions of ~13,800 acres in Kakinada (10500 acres) and Krishnagiri (330 acres). Our view: Monetization of Road and Energy assets for reduction of debt, demerger or listing of Airport biz and decent growth in Non-Aero and CPD biz are key triggers for the stock which will result into strong cash flow and value creation for all the stakeholders. Globally Regulated Airport biz (China) valued at ~10x EV/EBITDA, while unregulated biz (Australia) valued at ~20x EV/EBITDA. India, being a semi-regulated market, should trade in the range of 15-20x on EV/EBITDA basis given its higher growth prospects compared to its global peers. Hence, assuming ~15x EB/EBITDA (FY20E basis), its Airport biz can be valued at an Enterprise value of ₹420bn that result in ₹380bn of equity valuation after deducting debt of ~₹40bn. So, the value of the current stake in Airport biz can be valued at ₹250bn which is 1.7x of GMR’s market capitalization. The stock was in a news for quite sometime now. One of the Ace investor has picked up a stake of 1% in the company. The reason why I am optimistic on this scrip is because it has managed to reduce its debt from 30000 crore to 6000 crore in last few months by way of selling cement assets to Ultratech cement for ₹ 16500 crore. Company still holds good land bank at Noida. With the huge debt repayment the cost of interest would also substantially come down. Another reason is company for the first time in last 3 years has reported a net profit in the quarter ending June 30, 2017. The company has good order book and with the reduction of debt, balance sheet is surely going to improve in the coming quarters. There are some litigations going on the company about the housing project, but the company is coming out clean and has paid ₹ 125 crore to Supreme Court as a deposit. India’s power sector is one of the most diversified in the world. Source of power generation range from conventional coal, lignite, gas based to non-conventional source such as solar and wind power generation. Electricity demand in the country is increased and its further going to increase. Government is emphasising more on renewable energy and running many projects on the same. Indian power sector is undergoing a significant change that has redefined the industry outlook. Sustained economic growth continues to drive electricity demand in India. The Government of India’s focus on attaining ‘Power for all’ has accelerated capacity addition in the country. Solar rooftop panels are the fastest growing sector in India. Recently the company has approved to issue compulsory convertible preference shares (CCPS) for 2654000 shares at ₹ 100 to M K star SDN. Price of ₹ 1 at a premium of ₹ 99 for 18 months. It means after 18 months the share price will be more than ₹ 100. Some of the stocks which are recommended here are high-risk stocks, but at the same time potential of becoming multi-bagger is also high. These stocks may not fundamentally strong, some of them are in deep debt, but there is a hope of a turnaround and reducing debt. So there are high chances that they become multi-bagger stocks of 2018. This article is strictly for informational purposes only. It is not a solicitation to buy, sell in securities.  Wealthpedia and the author of this article do not accept responsibility for losses and/or damages arising based on information in this article.